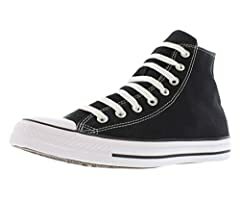 This is my Converse as a lifting shoe review. They are the perfect all around shoe. I wear them all the time. If you get more serious into lifting; particularly oly and power lifting, then I would consider oly shoes and deadlift slippers. But, Chucks a great primer. Almost any essential movement is performed better when you’re barefoot; standing and walking included. I played around with deadlifting barefoot for a bit. It is great, but when you’re training on concrete, you appreciate the cushioning of socks and shoes, haha. I’ve no plans, not at least at this time , to go oly or power. I want a muscular and lean physique. Good job. Why don’t you do your exercises barfeoot, since you are at home? That’s awesome! I spent ages looking around shops in Cardiff and like £42 was the cheapest I could find. Nice one! It would be great if things were cheaper in the UK, but that’s just life I guess. My carpet isn’t that soft unfortunately, my socks tend to slide, and I kinda just like having a solid sole under my feet. If I had a mat flooring like a gym maybe I’d prefer it. 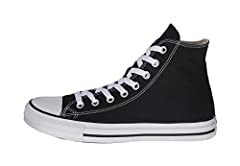 I have actually seen a very similar low top shoe in Primark for dead cheap, but I’d prefer to have a really well made shoe that will hold together for a long time. These aren’t by any means the only cheap option, just one I’ve plumped for and am really pleased with. Pete, thanks for your video about what shoes to wear for the gym. In truth, I’d never considered Chuck T’s for the gym however your reasons make perfect sense. I like Chucks for fashion reasons too.